CHA is 2-4-1 ATS over their last 7 games. CHA is 2-3 ATS over their last 5 games as an underdog. 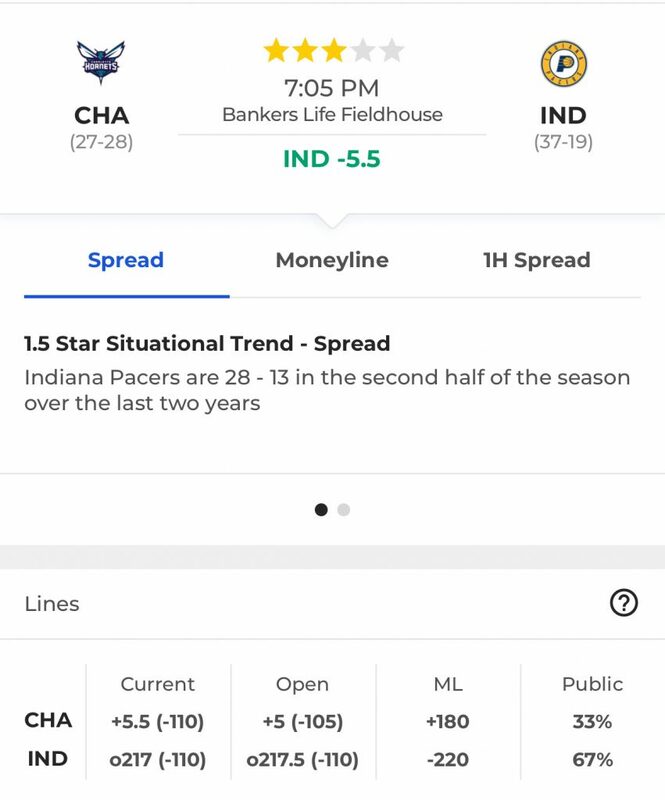 IND is 4-1 ATS over their last 5 games. The Total has gone UNDER in 6 of IND last 7 games. 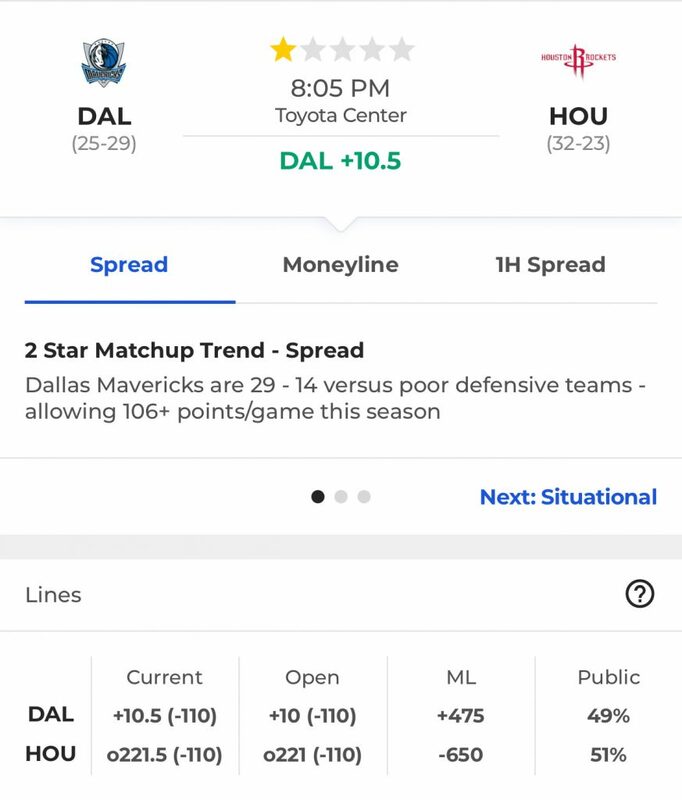 Both teams have covered the spread in less than 45% of their games this season. NYK are 1-24 straight up over their last 25 games. The Total has gone UNDER in 9 of NYK last 10 games. CLE is 4-6 ATS over their last 10 games. CLE is 1-3 ATS as a favorite this season. Both teams have covered the spread in less than 50% of their games this season. The Total has gone OVER in each of WAS last 5 games. WAS is 2-3 ATS over their last 5 road games. DET is 3-0 ATS over their last 3 games. DET is 5-2 ATS over their last 7 games as a favorite. The Total has gone OVER in more than 50% of their games this season. BKN is 2-4 ATS over their last 6 games. The Total has gone UNDER in each of TOR last 5 games. 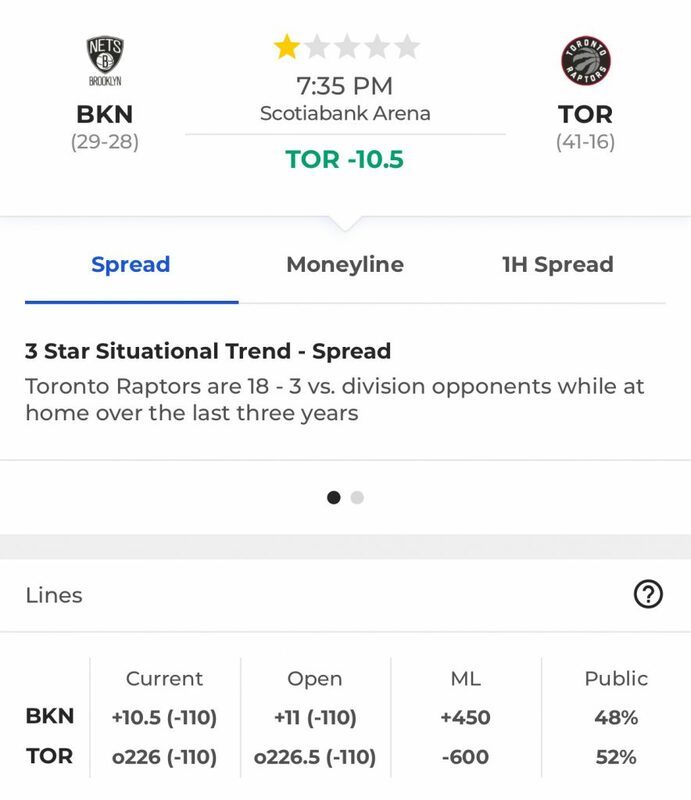 TOR is 3-2 ATS over their last 5 games as a double digit favorite. BKN is 3-2 ATS over their last 5 home games. The Total has gone UNDER in over 50% of games for both teams. MIL is 6-1 ATS over their last 7 games. MIL is 2-2-1 ATS over their last 5 games as a double digit favorites. CHI is 3-2 ATS over their last 5 games as double digit underdogs. The Total has gone OVER in each of CHI last 5 games. LAC is 3-2 ATS during their current 5 game road trip. MIN is 1-5 ATS over their last 6 games. The Total has gone OVER in each of MINN last 3 games. 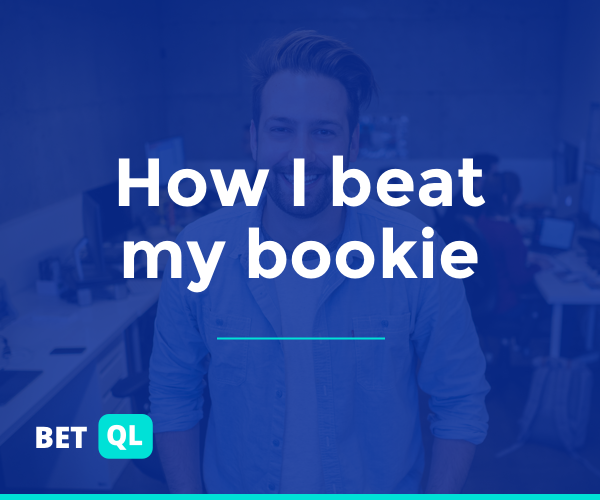 MIN is 0-5 ATS over their last 5 home games. POR is 7-3 ATS over their last 10 games. The Total has gone OVER in 8 of POR last 10 games. OKC is 8-2 ATS over their last 10 games. OKC is 4-1 ATS over their last 5 games as a favorite. DAL is 8-1-1 ATS over their last 10 games. DAL is 4-1 ATS over their last 5 road games. The Total has gone UNDER in 4 of DAL last 5 games. HOU is 3-7 ATS over their last 10 games. HOU is 1-4 ATS over their last 5 home games. Miami is 2-0 ATS this season as double digit underdog. DEN is 0-3 straight up and ATS over their last 3 games. DEN is 5-0 ATS over their last 5 home games. DEN is 4-1 ATS over their last 5 games as double digit favorites.